Goa is one of the best luxury destination for people traveling to or within India. Here you can find wide range of accommodation facilities, those support you to explore every side of this state. It is a place that is known mostly for its beaches, but there are more to add beauty to this place. Amazing churches, temples, monuments, festivals and its culture, food, friendly people are other best things to see in Goa. A lot of travelers think that the resorts and beach hotels are ideally meant for couples alone. You’d be surprised to know how amazing it can turn out to be for family and kids alike. Choosing a Goa beach hotel vacation that suits your needs is a challenging task, especially because of the never-ending variety you’ll come across. The most important thing to remember is that your resort can actually determine a lot of your experience at the destination, so you are advised to choose it very wisely! Online you will get most spectacular all-inclusive resort vacations where you’ll have the time of your life. Here is one name among top resorts and hotels in Goa that you must be looking for your amazing stay. 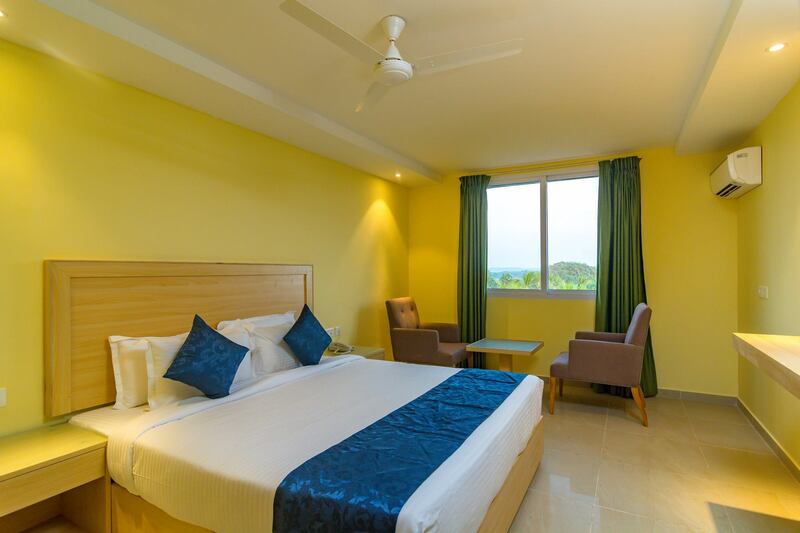 Settled near Candolim Beach, the Hyde by Toshali hotel one of the Goa beach hotel offers complete relaxation and a luxury holiday experience with captivating views of the sea and the beach, the elegant decor, state-of-the-art facilities, and mouth-watering gastronomical fare. Set aside any worries and chill out in the outdoor pool or private Jacuzzi, relax your nerves at the spa, enjoy a romantic dinner with loved ones at the beach-side fine dining restaurant, and drink in the spectacular view of the Goan sunset from your private balcony. If you’re looking for an ideal place to stay with your family in Goa, look no further. Book your room at Hyde by Toshali, Goa beach hotel one of the best accommodation to explore the wonders of this beach paradise.